The Twist 2 from Gumotex is rapidly becoming a firm family favourite and its easy to see why. Firstly, the pack size at just 50 x 25 x 30cms and weighing at just 13kg mean the Twist 2 will fit in a small rucksack and disappear in the average car boot. This makes it easy to bring along on holiday, even if you have a boot full of camping gear etc. The latest 2019 model see the addition of centre seat attachment points. This allows one of the seats to be left off and the other attached in a centre position for even weight distribution. 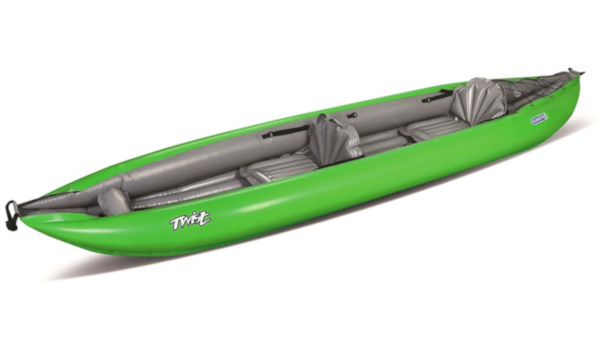 This transforms the Twist 2 into a 1 person paddling craft offering complete versatility. 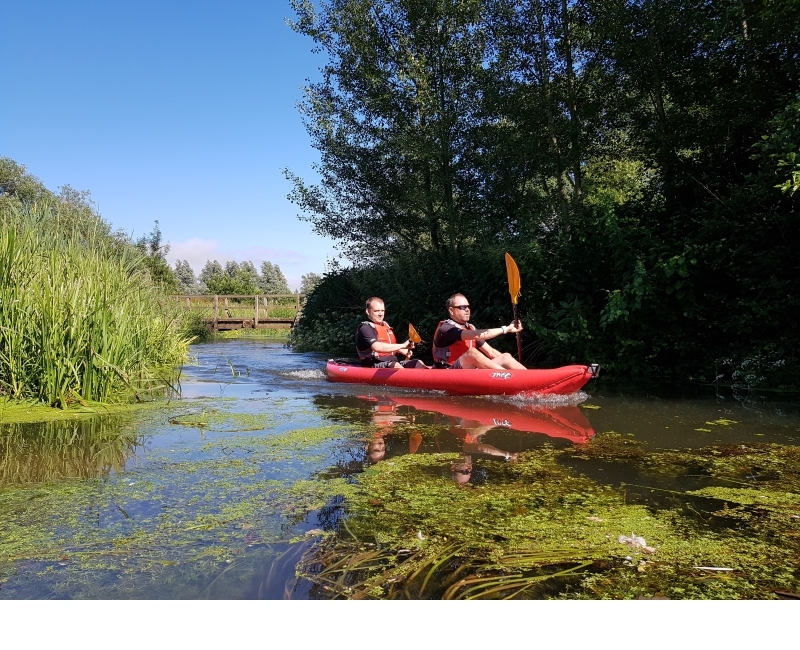 The Twist 2 is now spacious solo kayak with loads of room for gear for overnighters or longer day trips but can still carry 2 people with light gear when required. 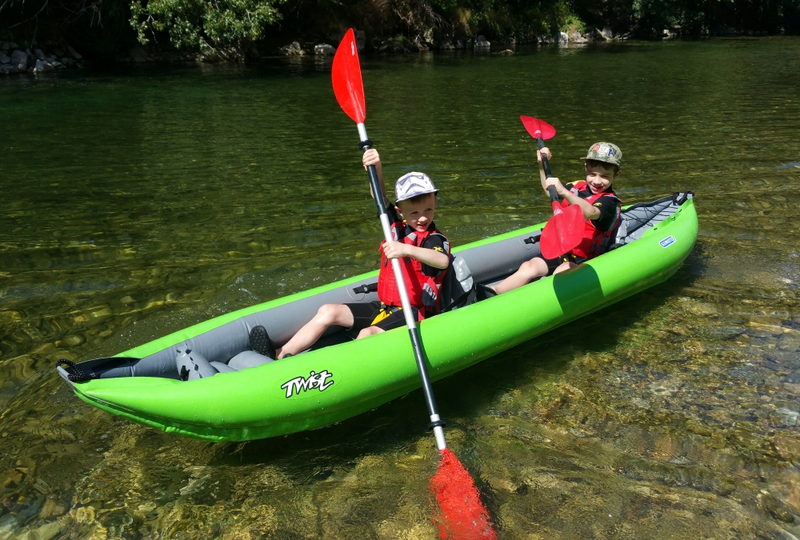 The Twist 2 inflates in minutes meaning you can be out on the water almost as quick as with a regid kayak. Once inflated the Twist 2 has plenty of capacity for two 6ft adults whilst a large dry bag can be stowed under the bungee in the stern for those longer day trips. 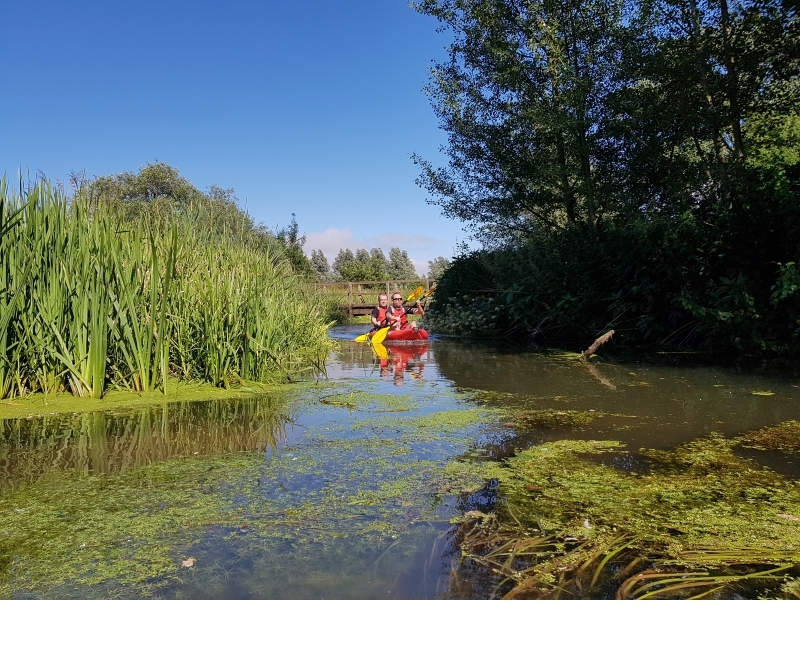 Because its constructed of Nitrilon, a heard wearing rubber material, the Twist can be pumped up twice to twice the pressure of traditional ‘bladder’ kayaks which means more hull stiffness and more efficient paddling. There is also a plastic skeg which easily clips underneath to keep the boat tracking in a straight line even when there is wind or swell. When its comes to packing away the Twist 2 can be dried quickly as most water just beads off the surface of the Nitrilon fabric. Again, the boat can be deflated and rolled up into the supplied bag as swiftly as it was set up. 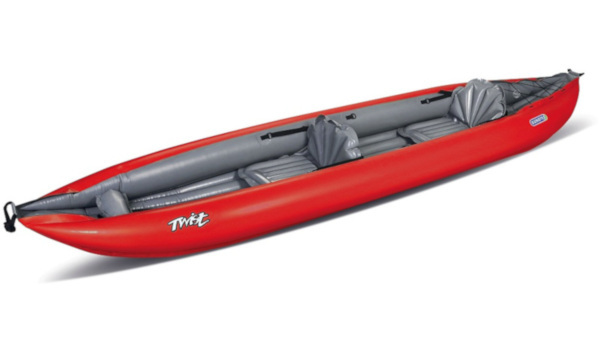 If you are looking for a two person inflatable kayak that can also be used solo and that packs down to almost nothing and will last for many years then this is definitely it. The Gumotex Twist N 2/1 is constructed from Nitrilon® material. This is a lighter version of the material used in rigid inflatable boats (RIBs) construction. Nitrilon® is manufactured in-house by Gumotex allowing for complete control over product quality. Buy a Gumotex Twist N 2/1 online from our website and collect from one of our nationwide branches.